Cost to hire a termite exterminator varies greatly by region (and even by zip code). Get free estimates from animal/pest control specialists in your city. Cost to hire a termite exterminator varies greatly by region (and even by zip code). The average cost of hiring a termite exterminator is $1,300 - $1,500. The cost of treating termites in a 2500 sq. ft. house with footprint 1 of 24’ x 50’ is $2,518, including professional treatment and maintenance. This cost is affected by the size of the house, the area to cover, the extent of the infestation (whether it is localized or is throughout the whole structure), and the type of foundation. Dampwood: they locate their colonies in damp, decaying wood. Drywood: create colonies in wood, they need very little moisture. Formosan: they nest in soil and gain contact with wood through the soil. Subterranean: they live in colonies under the ground; they need moisture to survive. Desert: susceptible to moisture loss. Mud like tunnels: termites build mud tubes to keep them moisturized while they search for food. You may see these tubes running up your foundation. Termite droppings: they are also called frass and are wood colored. "Swarmers" or flying termites: they appear in the house at varying times depending on the species of termites. Subterranean termites typically swarm in the spring; drywood termites are not as predictable. In the case of liquid termiticide ($1,300-$1,500 professional treatment plus labor), the liquid is sprayed onto the foundation with a saturating coat to not only repel the termites, but to kill them. Newer formulas are not lethal as well as repelling; however, the liquid treatment is quite effective. The termite bait ($430/10 stations and bait) is paper, cardboard, and other wood related “food” that has been treated with a slow acting lethal substance. It is put in a tubular container and buried underground away from the structure. The termites migrate to the bait, eat it and bring it back to the nest and gradually the colony dies off. Depending on the situation, some pest control companies will use a combination of both liquid and bait applications. The chemicals used for treatment cost on average $4-$16 per linear foot. So, a full house (2,520 sq.ft.) 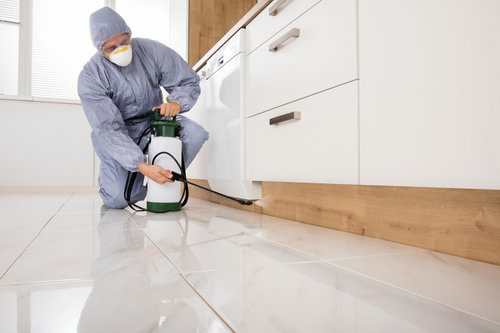 treatment would range between $1,300 and $1,500 on average including labor; depending on the size of your yard and the severity of the infestation. The cost of an annual maintenance plan would range between $150-$300. A termite monitoring station is a small specialized container that penetrates the ground. To monitor, you place untreated wood in the container. Inspect the monitoring stations monthly to look for the presence of termites. If termites are present, you will then trade out the untreated wood for wood treated with a slow-acting termite growth inhibitor such as noviflumuron. The monitoring stations cost about $30 each. In addition, you need to buy the bait which costs on average $135 for a box of 6. Most pest control companies will want to get you onto an annual treatment plan ($150-$300 per year). After the initial treatment, the pest professional can check your home again and make further suggestions or take action to treat again. Spot checks and treatments will be considered in an annual plan. Keep your yard clean of any wood and leaf debris. Clear any mulch away from your foundation. Trim any shrubs and other greenery away from your foundation. Repair any leaks - faucets, water lines and roof. Keep gutters and drains free debris. Keep spaces dry through ventilation of crawl spaces, basements and attics. Use plastic sheeting to cover the soil in crawl spaces. Make sure your wood siding, stucco 2 and foam board are at least six inches away from the ground. 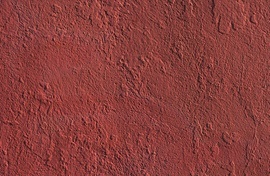 Seal any cracks and holes in your home's foundation. How much does it cost to hire a termite exterminator in my city? Cost to hire a termite exterminator varies greatly by region (and even by zip code). To get free estimates from local contractors, please indicate yours.